Meizu hat heute indirekt die IFA in Berlin eröffnet und startet den Reigen neuer Smartphones. Vorgestellt wurde heute das MX4, welches als Flaggschiff-Smartphone des chinesischen Herstellers gilt und mit einem Octa-Core-Prozessor (MediaTek MT6595) ausgestattet ist. Das Display kommt von Sharp und löst bei 5,36″ über 1920 x 1152 Pixel auf. Ansonsten ist die Hardware nicht weiter überraschend, als Kamera kommt ein 20,7 MP-Modul von Sony zum Einsatz, das aus den Xperia Z-Geräten bekannt ist. Das Gehäuse des MX4 ist komplett aus Metall. Nach Europa wird das Meizu MX4 definitiv nicht kommen, aber diverse Shops werden das Gerät sicherlich wieder importieren und hierzulande zum Kauf bereitstellen. Unter dem folgenden Bild gibt es die komplette Pressemitteilung. 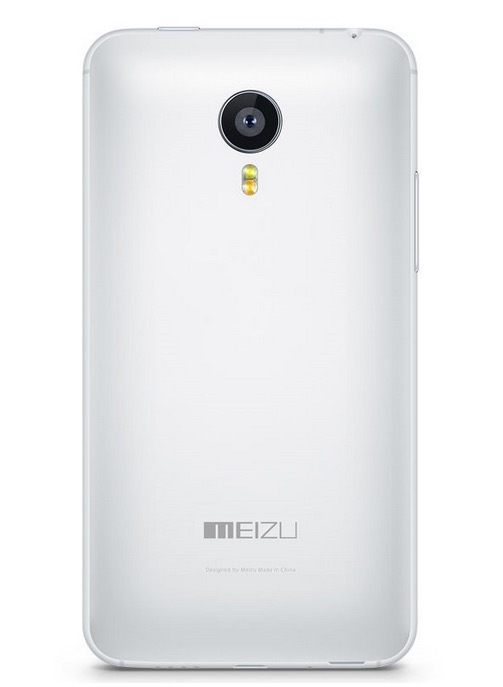 September 2nd, 2014 – Premium Chinese smartphone maker, Meizu, today launched their latest flagship smartphone. The Meizu MX4 is the result of months of continuous research and development with our product partners, JDI, Sharp, Sony and Mediatek. CEO of Meizu, Bai Yongxiang proudly announced the MX4 to the media and expectant fans at a launch early today in Beijing. After strenuous R&D, Meizu have decided to abandon the use of stainless steel in the MX4 and instead adopt advanced 6061 T6 aluminium alloy resulting in a light, durable phone with enhanced texture and added colour options. The Meizu MX4 gets an expanded screen size of 5.36-inch, however the smart design of the handset means the overall size has only increased slightly in width and length and is actually the thinnest MX series phone to date! The MX4 measures 75.2mm wide, 3.3mm wider than the MX3, 144mm long, 1mm longer than the previous phone, with a depth of only 7.9mm, 0.2mm thinner than ever before. This larger and smarter design also boasts 2.6mm narrow bezel edges and an astonishing body to screen ratio of 79%. All this in a package that weighs only 147g! Meizu continue to dedicate their focus on producing high quality, premium phones that offer quality features, not useless gimmicks. 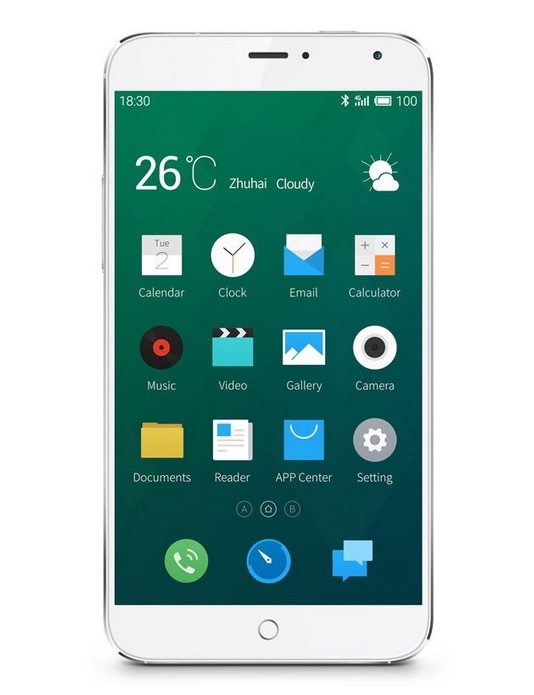 Working closely with Sharp and JDI, the MX4 receives a full HD 5.36-inch display with 3 key improvements. Brightness now reaches an incredible 500nit, contrast ratio is 1100:1, and colour gamut has been increased by 85%. Your photos, videos and favourite websites have never looked so good. A Smart octacore Mediatek MTK6595 processor boasts energy saving ARM Cortex A7 and advanced Cortex A17 cores at 2.2 GHz for smooth and powerful performance. The latest SoC incorporates Core-Pilot technology to vastly improve performance by 75% and battery life by up to 30%, seamlessly switching between cores on the fly. Plus the powerful PowerVR G6200 MP4 GPU can throw around pixels fast enough for you to enjoy the latest in advanced mobile gaming. The Meizu MX4 is compatible with 5 network types across 13 different frequency bands, The MX4 can make use of the latest TD-SCDMA and FDD-LTE 4G Networks reaching download speeds of up to 100 Mbps and uploads of 20Mbps, almost 4 times that of previous generation devices. 802.11ac Wi-Fi protocol brings blistering internet speeds of 433 Mbps to the MX4! Almost three times the speed of 802.11n. Dual band 2.4 GHz and 5 GHz WiFi makes up the rest of the wireless package delivering a flawless Wi-Fi experience. Super-long standby duration frees you from battery worries. A 3100 mAh battery from Sony and Samsung, along with CorePilot and the advanced energy-saving CPU means an improvement of 13%, even with 4G LTE connected. Watch videos, Tweet, update Facebook and play all day with the MX4. The MX4 comes with Sony’s top CMOS IMX 220 which has an incredible 20.7 mega-pixels. Number of pixels isn’t everything though, so we are excited to announce that pixel quality is 250% higher when compared to previously used sensors. The extra-large 1/2.3-inch ILDC level CMOS chip increases useful sensitivity by 90% with an increase in pixel size to 1.2μm. As a result, photos are captured with perfect saturation and clear details even when tightly cropped. All this is topped off with a Loop Focus engine for focus speeds of just 0.3 seconds. With a camera set up like the MX4’s, you no longer need to worry you might miss the perfect photo opportunity. To better protect the Corning Gorilla Glass 3 screen of the MX4, we have selected to use our unique boding process to attach the screen to the CNC machined alloy body. A 0.32mm layer of adhesive fixes the screen to the body but also acts as an absorbent layer to spread shocks. If dropped the tapered body of the MX4 will spread forces around the body while the bonding will act as an absorbing buffer. Meizu have applied for a patent for this new bonding method. Designed to make a large screen smartphones easier to use. Flyme has evolved to Flyme 4.0 and taken influence from the oriental aesthetics of Wabi-Sabi for a more colourful and brilliant experience. The new UI redefines function with a redesigned Smartbar navigation area and all new features.